For other reports and research concerning long term investor interests in the effects of capitalization on corporate adaptability, see the "Stock Buyback Policy" section of the reference page for a 2014 Forum case project. On Tuesday morning, the chief executives of 500 of the nation’s largest companies will receive a letter in the mail that will most likely surprise them. 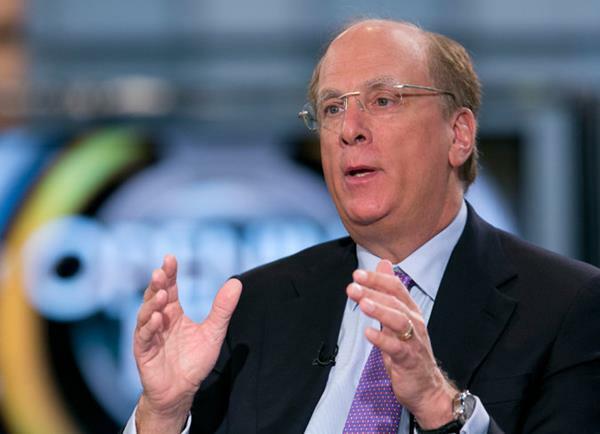 The sender of the letter is Laurence D. Fink, chief executive of BlackRock, the largest asset manager in the world. Mr. Fink oversees more than $4 trillion — that’s trillion with a “t” — of investments, making him perhaps the world’s most important shareholder. He is planning to tell the leaders that too many of them have been trying to return money to investors through so-called shareholder-friendly steps like paying dividends and buying back stock. To Mr. Fink, these maneuvers, often done under pressure from activist investors, are harming the long-term creation of value and may be doing companies and their investors a disservice, despite the increases in stock prices that have often been the result. At a time when most investors are clamoring — and applauding — high dividends and bigger buybacks, Mr. Fink is bucking the trend. United States companies spent nearly $1 trillion last year on stock repurchases and dividends, and virtually every big American company is engaged in these practices. General Electric announced last week that it would buy back $50 billion of its stock after selling most of GE Capital. Apple authorized a $90 billion buyback of its own stock last year. Exxon Mobil spent $13 billion last year on its own stock. IBM, which I’ve questioned for its aggressive use of buybacks and dividends, has spent $108 billion buying back its own shares since 2000. Mr. Fink and I have been discussing — and debating — this topic for more than a year. Last week, before mailing his letter, which he writes annually, he shared it with me. Mr. Fink has a novel suggestion for encouraging shareholders to take a broader perspective, but it may very well upset his peers on Wall Street. He recommends that gains on investments held for less than three years be taxed as ordinary income, not at the usually lower long-term capital gains rate, which now applies after one year. It is refreshing to see a finance executive talk some sense on these issues. However, Mr. Fink is not simply being altruistic. To some degree, he is talking his own book: BlackRock’s business model, unlike those of so many finance companies that rely on trading fees, does not require it to turn over its portfolio. Given its size and scale, BlackRock often holds its investments for decades. That’s not to suggest Mr. Fink doesn’t believe what he’s saying; he does. He is a relatively progressive finance executive who has been a longtime Democrat and has taken positions that many of his peers in finance abhor. Still, Mr. Fink is taking a direct shot at the rise of activist investors, like Carl C. Icahn, who have made careers out of pressing companies to return cash to shareholders. A version of this article appears in print on April 14, 2015, on page B1 of the New York edition with the headline: Quit Bowing to Investors, Fellow Chief Urges.